The story follows the major life events of a traveling veterinarian and a small-town sheriff, describing the intertwining of the two lives. Although the back panel of the book suggests it is about the travesty of a disaster in rural Montana, it is really so much more. The author walks his readers through each of the two men’s memories of a flood in 1964. 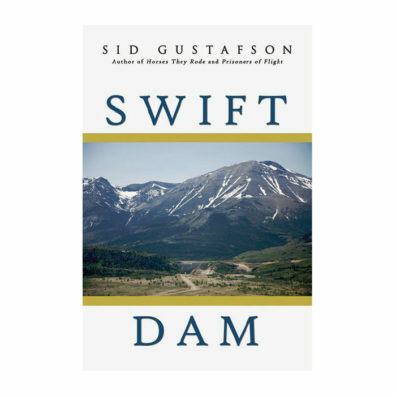 A break in the title’s Swift Dam swallows up several residents of the small reservation and town both men call home. Despite the years gone by, both men use the event as a way to grow, to engage, and to remember those they lost. As they grow and remember, so do we. Through the eyes of the vet, we begin to see the world not as a mechanical structure machined by man, but as a revolving reaction between man, nature, and beast. Meanwhile, the sheriff helps us to examine the humility and humanity of our fellow man. The story brings to mind the Oso landslide in Washington in 2014. Whether or not Gustafson intended it to be, Swift Dam is a lovely tribute to anyone who has ever been impacted by a disaster. It speaks of the friends, brothers, sisters, children, mothers, and fathers who are no longer with us. It speaks of, and to, those who have lived to remember and love after any catastrophe.